Some of our patients suffer from chronic illnesses that have left them debilitated for years, while others are victims of abrupt change. Our goal is always to help our patients return to the quality of life and state of health to which they were previously accustomed. 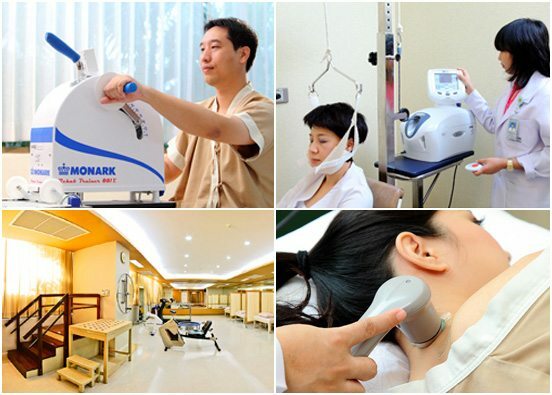 To that end, Physical Medicine and Rehabilitation Clinic at both Samitivej Sukhumvit Hospital and Samitivej Srinakarin Hospital employs some of the top physicians, physical therapists, occupational therapists, massage therapists, prosthetists and speech therapists in Thailand to provide comprehensive care. We offer state-of-the-art facilities and equipment to help speed our patients’ recoveries along. We also believe in tending to our patients’ minds as well as bodies, as we understand that rehabilitation can sometimes be an emotionally draining time. To that end, we provide counseling and psychological aid. Our team is there to support you every step of the way.